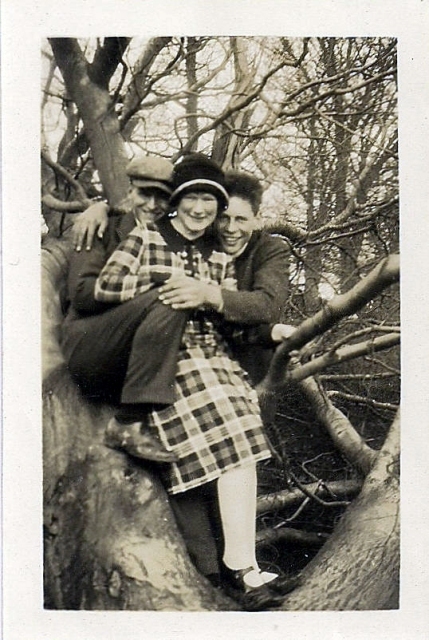 Images Past | Stories and old family photographs. Text and images are copyrighted and must not be reproduced in any way. Pinterest users note that DMCA Notices will be issued. You may remember that my meandering brain conjured up a Silly Girl’s Project which is becoming more complex as time goes by. Follow the link for Part One – the beginning of the spiral. I’m not sure whether it’s an upward spiral or a downward spiral but I’m enjoying it. In my last post a couple of weeks ago, I had acquired a vintage Singer 201K sewing machine for the purpose of making my 1950’s-style outfits for our road trip to Monte Carlo. 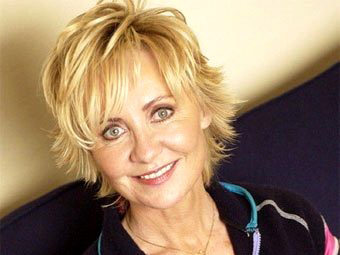 Heather, as she is now known, is up and running and raring to go. I, on the other hand, am procrastinating about the actual SEWING and have been distracted by the cuteness of the traditional Singer sewing machine. Thus, I allowed myself to be seduced by the lovely Isabella, a 3/4 sized hand crank machine from 1901. She’s still an ongoing refurbishment project but she remembers how to sew. Which is more than I can. Along the way, I have discovered the joys of a Dremel, which is a rotary power tool that does all manner of miraculous DIY things, but I’m only interested in polishing. 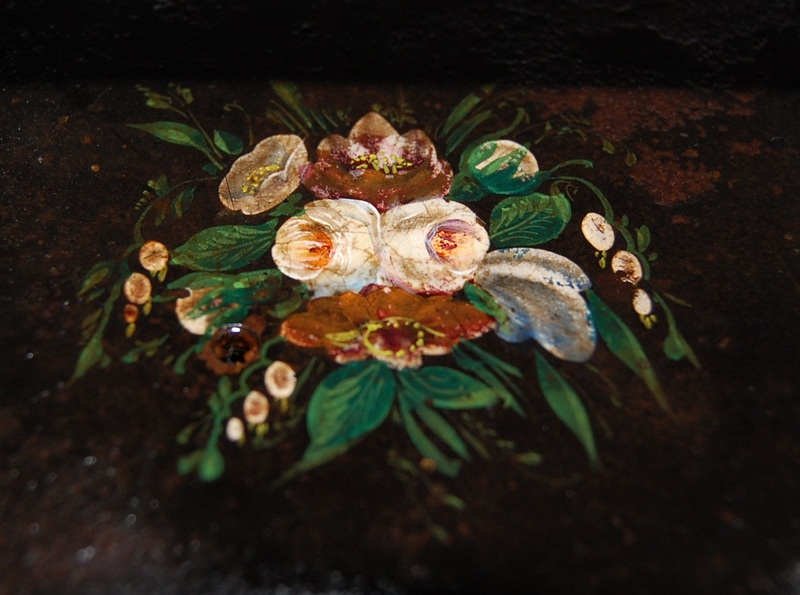 The buffer pads work a treat with MAAS metal polish which is not as rough as the compound that comes with the Dremel. I have only used it on minimum speed as it can become unwieldy and out of control if you give it too much welly and don’t give it 100% concentration. Like a lot of things. I have nearly shrink-wrapped myself twice with the dust sheet I was using to protect everything from the filthy bits of flying polish and I look like a Victorian chimney sweep after every cleaning session. It works a treat. Shopkeepers recoil at the state of my nails as I hand over money, though. Did I mention that I am easily distracted and prone to flights of fancy? Last weekend (as soon as Mr Imagespast was on the plane to Greece for a well-deserved break from the madness that is his usual routine) I went to Fife to see a 1962 Rover P4 which had been advertised on Ebay. Just like the one that Douglas and Elsie drove from Fife to Monte Carlo in 1955, but a few years younger. I spoke to my friend, Colin, and picked him up at 1pm on the Sunday to go and see the car. 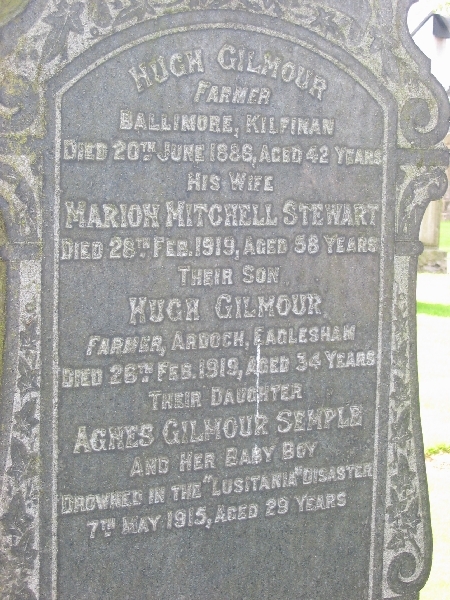 The seller lived in a tiny (really tiny) village within 5 miles of Pitlessie, where Douglas grew up at the Manse. I took the little album with me to show him if he was interested. Unfortunately, although the car was in pretty good condition, it was too much of a project for me to take on. Mr IP’s car maintenance abilities extend to phoning the garage and mine are… rusty. In the extreme. Also lacking in a lot of areas. In discussion with Colin, I decided that I would prefer a bigger 6 cylinder engine for motorway comfort and ease of driving – less messing around changing gears. Even with the bigger engine, with the overdrive it would probably work out the same on fuel economy over a long trip. I’ll hold out for another one. I only drove the car in first and reverse in the yard but the seller took us for a little run. It was a nice car – smaller than I expected and fine for a little squirt to drive at low speed on a very short test. 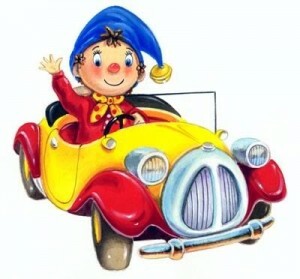 I had been concerned about the weight of the steering but I’ve had a big car with no power steering before and managed to park it daily in Edinburgh. The size of the steering wheel helps. Did it come off a bus? It was my birthday yesterday and Mr Imagespast was still sunning himself in Greece. We’re not really big on birthdays and presents/cards on significant days which are required to be celebrated at vast expense according to traditional rampant commercialism, so I wasn’t fussed that he wouldn’t be here until my birthday was nearly over. I joked that I would buy my own birthday present. It’s all a bit of a wind up but I like to keep him on his toes and give him the occasional freak-out. He says he knows that I wouldn’t sell the house and buy a Ferrari without telling him. That’s only because he knows what I think of Ferraris. 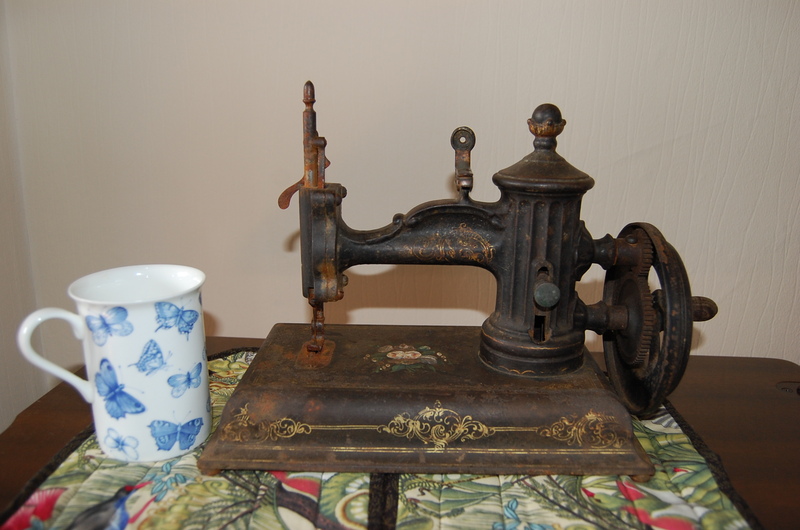 I had decided that Isabella deserved an opportunity to experience life not only as a hand crank machine which she has been for her 114 years, but as a treadle. 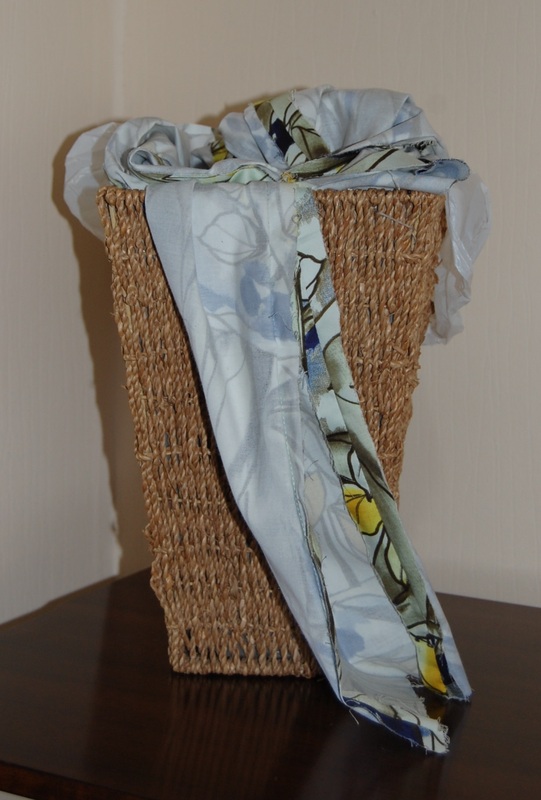 I also relished the idea of bringing something else old, bulky and dirty into my very small house. I found just the thing! 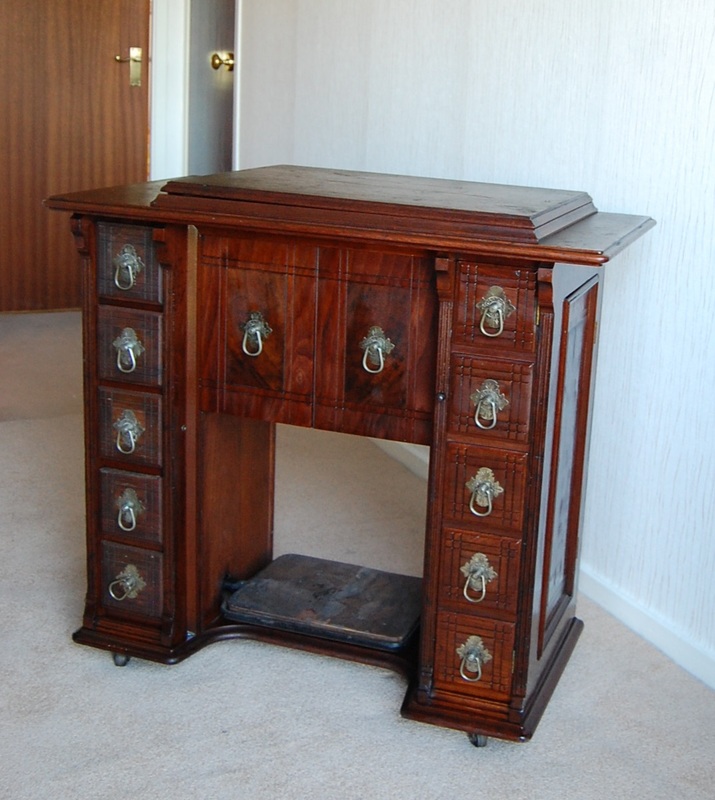 As a 28K is a small sewing machine, appropriate original cabinets are like hens’ teeth to get hold of, so I thought this could keep ticking over in the back of my head until the right one at the right price popped up. No such luck. There was one nearby on Ebay at £silly. Treadle cabinets don’t travel well, especially via couriers who sometimes treat parcels like bastketballs so local is GOOD. 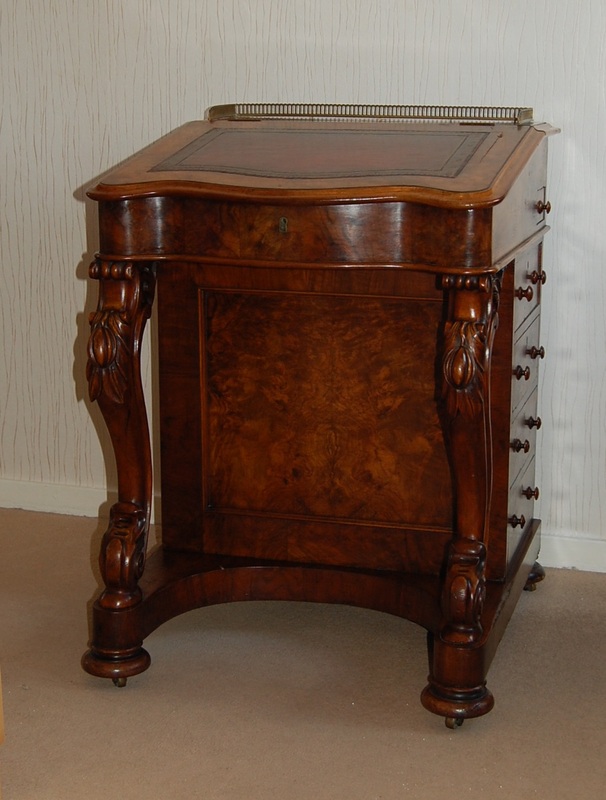 Not surprisingly, nearly two weeks later, the cabinet’s still for sale at slightly less £silly. Call me mean, Scottish or a farmer’s daughter, but I can’t pay through the nose for anything. All three are true. I will not jump in. I will bide my time. 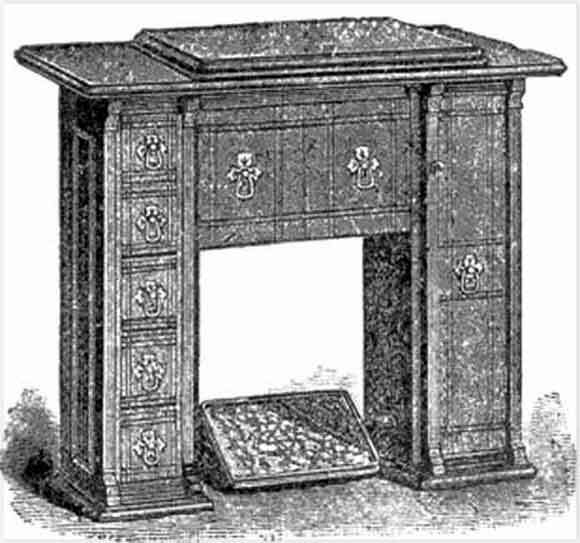 I’m continuing to search for Isabella’s hutch, I mean, a suitable 28K cabinet within driving distance. As yesterday was my birthday, when I stumbled upon this item and it was very close to where I live, and wouldn’t break the budget, and it would give Mr Imagespast something else to try not to freak out about, I rushed off down there clutching my used readies. Coffee pot? Teapot? Fire hydrant? When I got home, clutching the dinky little thing and sniggering wildly to myself, I took some photos before I started faffing about with it. I couldn’t find any manufacturer’s name or serial number on it anywhere. It was badly discoloured, rusty and seized solid. I uploaded a pic to the Vintage Sewing Machine Facebook Page to see if my new friends could help me with identification while I Googled like mad and the resident spiders sneaked out of it. At first it seemed to be a Victorian toy sewing machine which disappointed me. 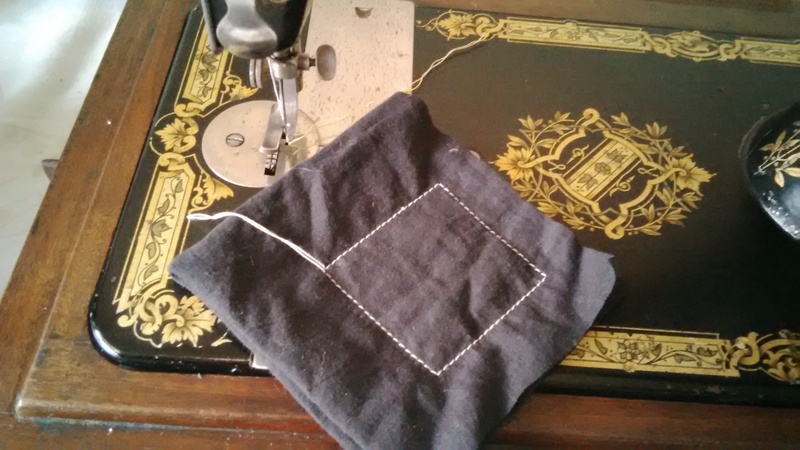 Although it was bought as a bit of a laugh, with my newly discovered knowledge of how to revive dormant sewing machines, I wanted to get it going and see if it would sew. A toy wasn’t on my shopping list. However, on close inspection, the idea of a toy didn’t add up. It is small – roughly 10″ by 6″ at the base, but it had a rusty needle and a screw to change the needle. I set it up on a bed of old newspaper, fabric and paper towels and gave it a quick dust with a dry paintbrush. 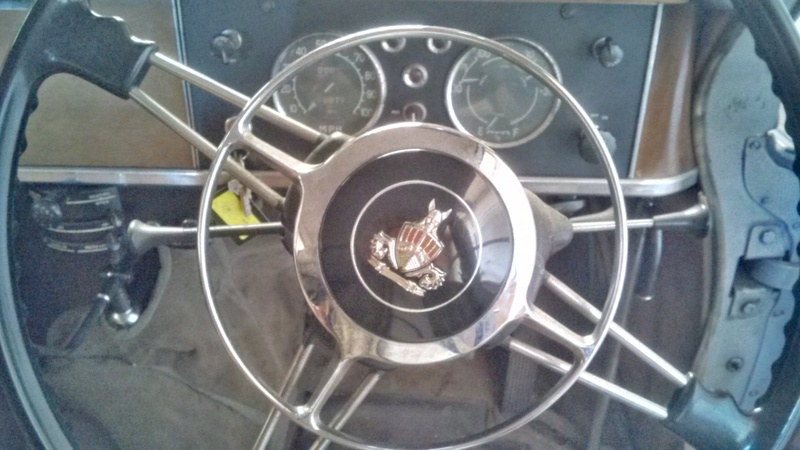 I eventually managed to get the balance wheel to move 1/2″ in either direction (dab WD40 onto any part you can see where metal touches metal, including underneath, but don’t get it on the paintwork) so that showed that the needle and the hand crank WERE actually connected. Eventually it freed off to the point where I could squeakily complete a couple of turns of the crank. I oiled it everywhere I could see (sewing machine oil only – no 3-in-1, never ever) and within a couple of hours, it was limping along, wheezing and puffing but definitely wanting to GO! Hurray! There was orange goo dripping out of it as the movement shifted the internal rust. I was still a bit upset that it was a toy but happy that it was going. There’s a screw which I think should adjust the stitch length, a tension spring to adjust the pressure on the presser foot and feed dogs to grip the material as it goes through but no bobbin or shuttle for thread underneath. Hmm. 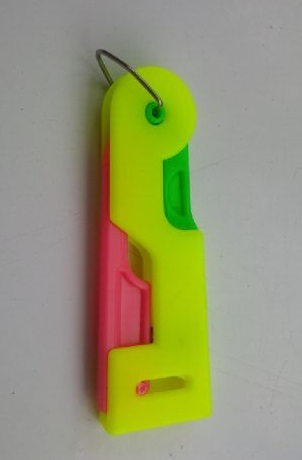 If it was a toy, it was a seriously good quality one. Pretty as well, as a gentle wipe down with sewing machine oil on cotton buds darkened down the rather grey finish and showed up the colours. Like when you wet a pebble. 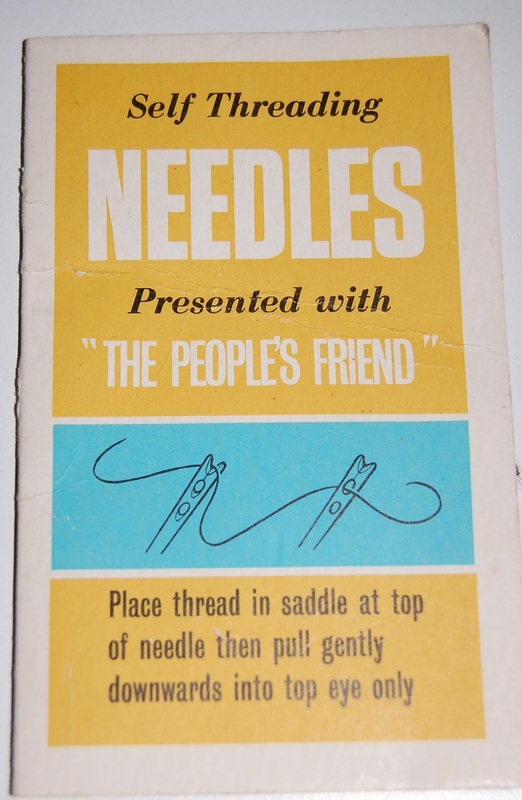 By now, my Facebook chums were in a Vintage Sewing Machine frenzy and someone came up with the idea that a chainstitch machine only has one thread. 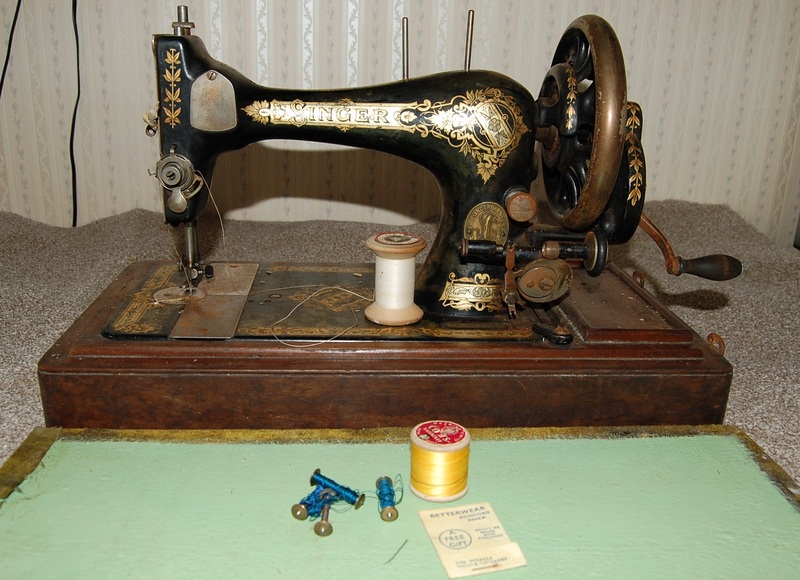 Looking back, Heather the 1958 201K has a bobbin for her lower thread, Isabella the 1901 28K has a shuttle, which was the precursor to bobbins and before that… Yes, of course, all there was was a chainstitch machine! 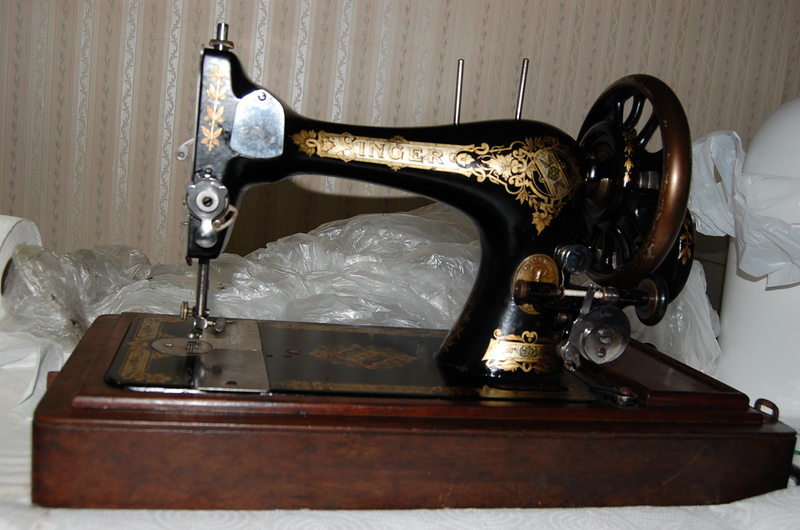 That’s when it dawned on me that not only was this a REAL sewing machine, but possibly quite a rare one. 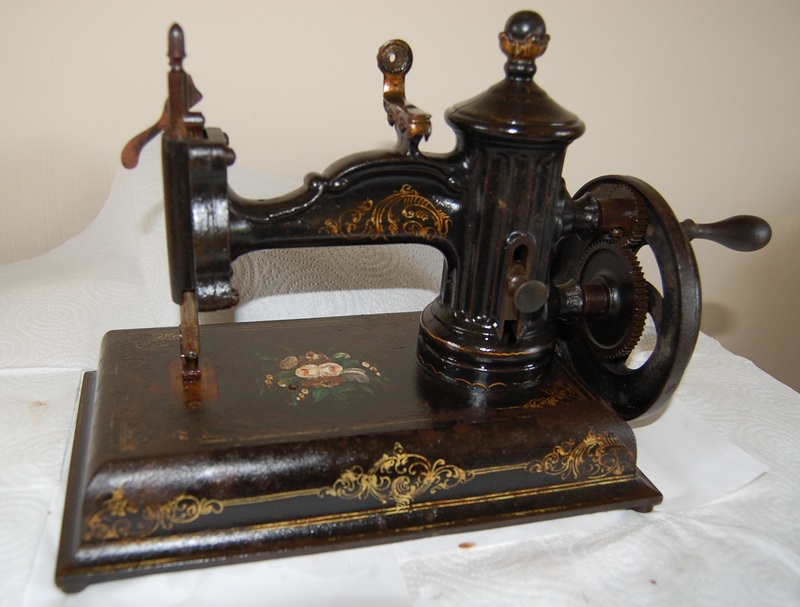 The world is awash with old sewing machines because they are virtually indestructible (the really knackered looking ones are called “boat anchors”) and almost every home had one to make garments before ready made clothing took off. That’s why they are worth so little now. But here’s the big surprise. If that’s what a night on sewing machine oil does, make mine a large one. 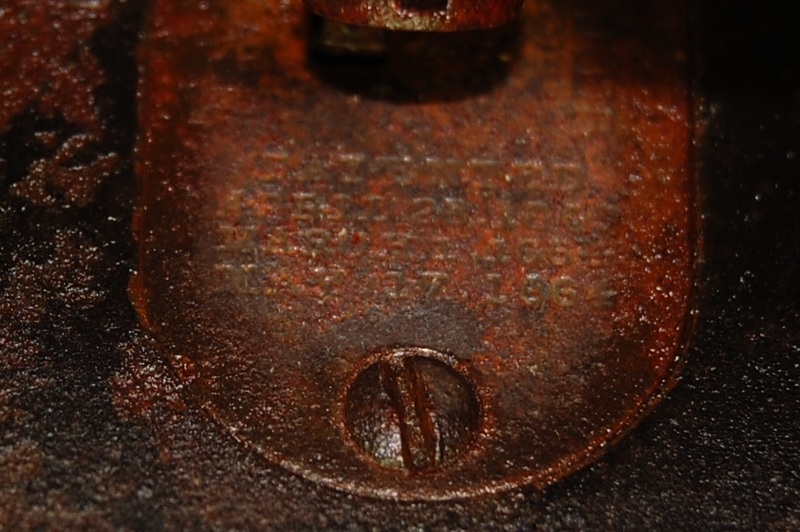 Since having a gentle go at cleaning the orange rusty goo/sewing machine oil off the needle plate, I think I’m right in saying that I DO indeed have a J G Folsom Globe chainstitcher. You won’t be able to read it – I almost can but I think it says the right things. Sincere thanks go to all at the Facebook Vintage Sewing Machine page who have supported, encouraged, advised and educated me. As well as given me their VSM Acquisition Disorder germs 😀 Come on in, the sewing machine oil’s warm! You’ll be pleased to hear that the planning of the planning of the Silly Girl’s Project to recreate my grandparents’ 1955 road trip to Monte Carlo is coming along nicely. (Part one is here) I’ll just say that the whole thing is still rather fluid and not forming itself in an orderly fashion due to my meandering brain. No surprises there then. In my last post, I had acquired Heather, a 1958 Singer 201K sewing machine, for the purpose of making my 1950’s-style outfits for our road trip to Monte Carlo. As usual, it was buy first and do the research later. During my investigation into how best to clean up and restore Heather to her former glory, I chanced upon LOADS of information about the Singer company and their products. It turns out that there is a worldwide fan base of Vintage Sewing Machine enthusiasts (obsessives?) and that manuals, information, sources of parts and general encouragement is pouring out of t’interwebs. There’s a Facebook page with almost 18,000 members, all encouraging each other. I don’t need any encouragement, I’m dangerous enough on my own. Here’s some interesting stuff that I discovered along the way. Did I mention my meandering brain? Singer was such a successful company that in 1862 they decided to open a factory in the Glasgow area. Demand continued to escalate and another factory was build in 1873 and in 1885 they opened their biggest ever factory on 46 acres of farmland at Kilbowie in Clydebank. This included 2 3/4 miles of railway to connect up various parts of the site and to 3 railway stations in Glasgow, Helensburgh and Dumbarton. The company employed nearly 7,000 workers and produced an average of 13,000 machines a week. It was the most modern factory in Europe at the time. They even made their own cabinets and tables to house their sewing machines and employed 2,000 joiners to do so. During World War II, in line with most other engineering companies, Singer turned their engineering facilities at Kilbowie to producing ammunition and hand grenades. The factory made Mills No 36 hand grenades and even the bombs that they produced were stamped with the Singer logo. 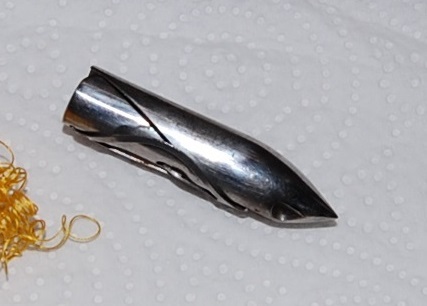 Have a look at this – is it a bullet? Ignore the yellow stuff. 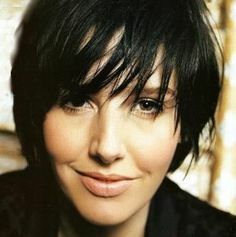 There’s another story behind the above… Although Heather sews beautifully, having joined the Vintage Sewing Machine group on Facebook, that bunch of “enablers” kept posting photos of beautiful old Singers. You know – the kind everyone’s Mum and Granny had, all shiny black with lots of gold decoration. 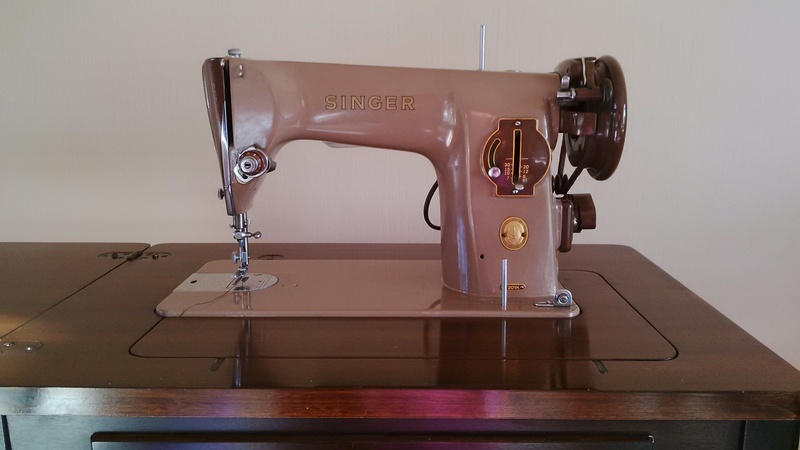 I learned to sew (such as my “sewing ability” currently is) on two of those machines (a treadle and an electric) and we also had them at school. I bet there isn’t a school in the UK who lets excitable 11 year old girls loose on such obviously horrendously dangerous equipment which is designed to murder children. Tut. That’s why no one can sew. Besides, you only ever sewed through your finger once. A lesson for life. You can’t beat a good solid education. Anyway, I hankered after such a pretty little black and gold beast and I discovered that because hardly anyone sews and these machines were pretty much bombproof, there are hundreds of thousands languishing unused and neglected. That makes them cheap to buy. Add to that the availability of parts, their reliability and virtual idiot-proof-ness, and the idiot had to have a go. This time I did my research. No, I really did. I looked at Ebay for a couple of days, Googled for a bit and then chose my weapon. It’s no ordinary sewing machine, let me tell you. You know that normal sewing machines have a round bobbin for the bottom thread? This one doesn’t because they hadn’t been invented then. She is a “vibrating shuttle” machine and has the bullet-shaped thing (above) which contains a long bobbin loaded with thread. The pointy bullet travels forwards and backwards underneath the plate and loops its thread through the thread that the needle has just deposited through your fabric, forming a stitch. Clever, eh? She’s a 1901 model 28K. The K stands for the Kilbowie factory in Clydebank where her relative Heather was also made. So I now have two generations of Scottish singers. Not these ones. Isabella (I can explain her name, if you really want to know, but it’s another convoluted story) had been living in Wales. In a barn with chickens, judging by the look and smell of her when she arrived last Thursday. I had no idea what she was like beyond what I could see in the photos and although she was well-packaged when she arrived, the rattle from the box didn’t bode well. I realised that if she had parts missing, I wouldn’t even know. Oh well, too late – I had blown the enormous sum of £17 plus £15 delivery so I got my sleeves rolled up, rubber gloves on and got on t’interwebs again. There followed a most interesting journey of discovery (story of my life) and within 4 days I had her cleaned up inside and out, oiled, threaded and last night I managed to produce this masterpiece on her first test drive. Using the needle that she came with, some ancient thread (both no-no’s) and some old lining material. 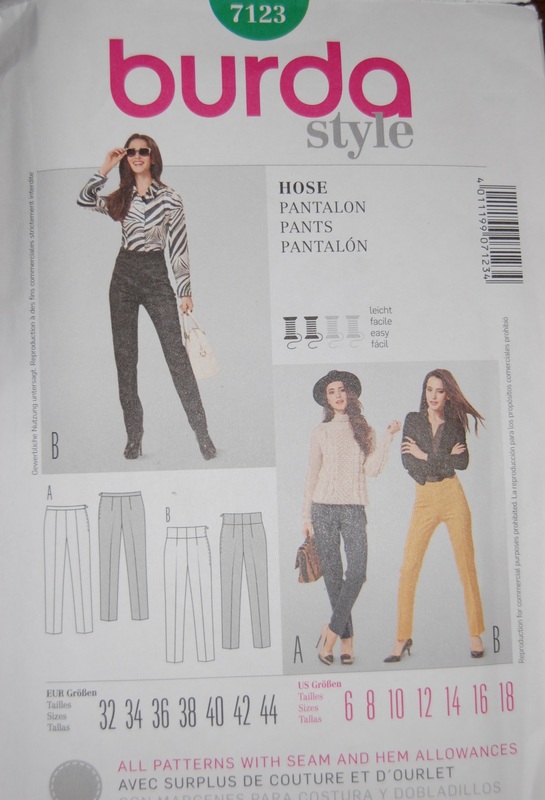 Sewing patterns are the next mystery to unravel. 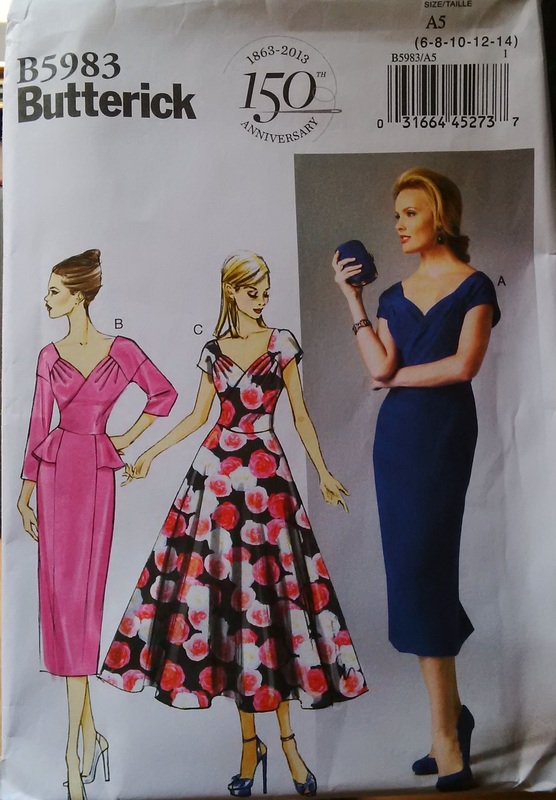 I have the pattern, the fabric, the lining fabric, the zip, the matching thread and I’m terrified to start cutting. I’m liking the middle one and I’m liking the fabric that I bought enough not to ruin it with scissors yet. 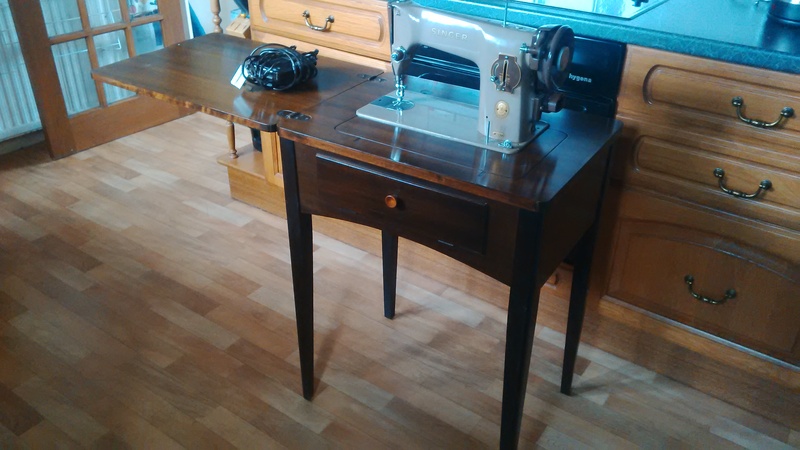 Meantime, maybe I’ll just document the story of Isabella’s transformation from sad little machine so that maybe someone else who is daft enough to buy a vintage Singer sewing machine on a whim will find out how easy it is to beautify, restore and operate. 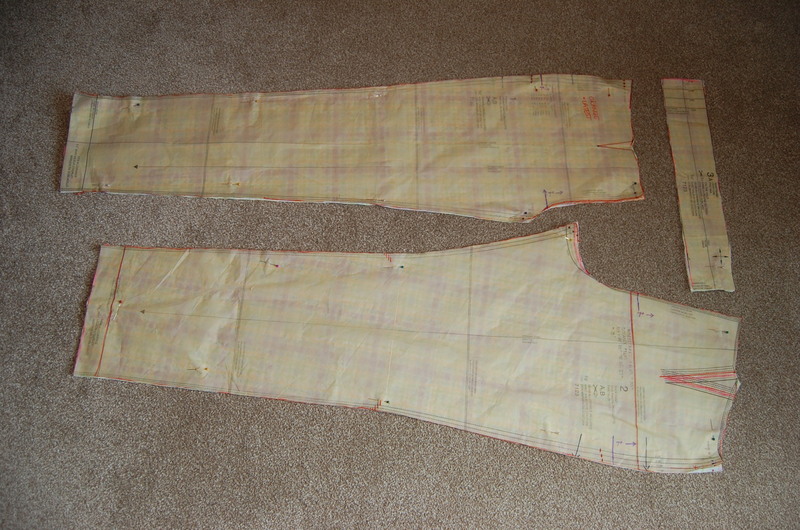 I’ve found some You Tube videos and perhaps there’s a Facebook page for Reluctant Seamstresses. 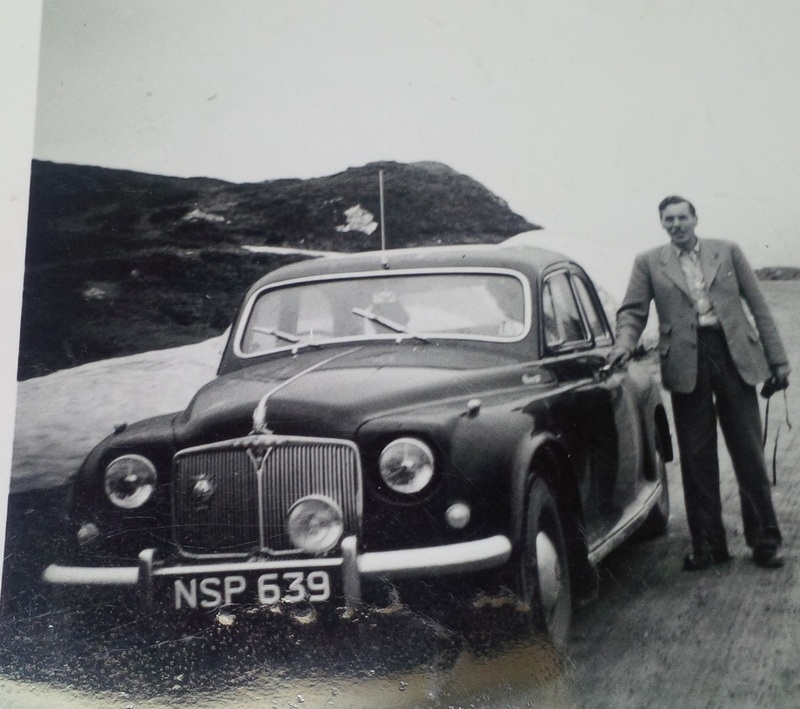 It’s a 1954 Rover P4. Yes, there’s a Facebook group. Yes, I’ve joined. Yes, I’ve got some new friends. Yes, it’s just as easy to get hold of one of them but a wee bit dearer. That’s a whole ‘nother thread, as it were. Let’s stick with Heather and Isabella for the next few posts. I’ve resumed my Sepia Saturday weekly posts and others will follow in between, as and when I find a pic that I find interesting. There’s no money-back guarantee that anyone else will share my sense of humour, nor will I be held responsible for any cleanup operations resulting from “coffee down the nose” moments, should they occur. This week’s Sepia Saturday inspirational photo shows linesmen maintaining electrical cables in Tasmania around 1969. As soon as I saw the prompt I knew that, by some bizarre coincidence, I had the perfect photo in Douglas and Elsie’s album from their road trip to Monte Carlo (Part one) in 1955. I know I’m still in the very early stages of planning our re-enactment of their trip but I had to zoom ahead 1026 miles from home to Grindelwald – a village in Switzerland. I wondered if this man with a good bunnet for heights was working on the cable car system. After a considerable amount of time spent Googling, I think it is the precursor to the Grindelwald–Männlichen gondola cableway which links the two villages. 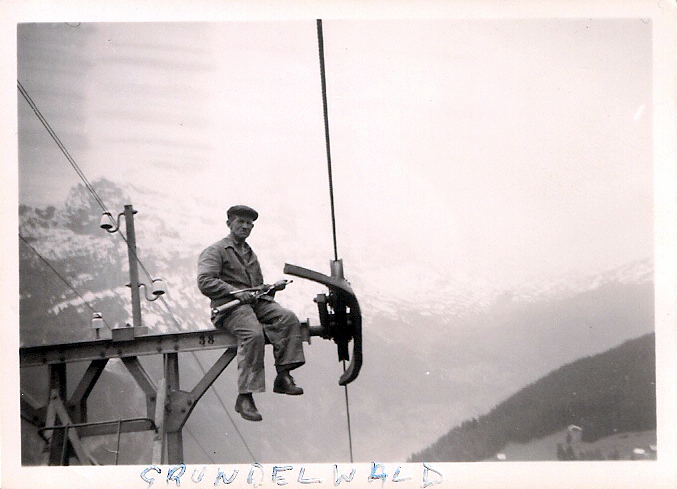 The Wengen–Männlichen Aerial Cableway officially opened in July 1954 so presumably this guy was just greasing a few cables? 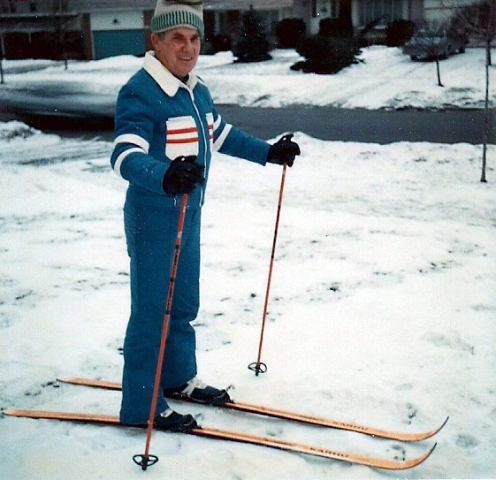 Whilst Douglas and Elsie may not have been ski enthusiasts in their younger days, they were both very active after retirement. Elsie, in particular, was always game to try anything at least once. 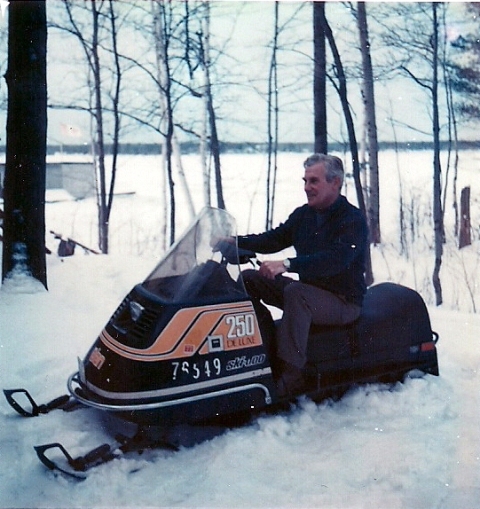 Douglas was rather more reserved but any form of transport fascinated him, and he tried out a couple of options on snow. Douglas had a motorbike from a very early age and spent his working life in the motor trade – cars and bikes were his thing. He was equally at home whizzing about on some new-fangled contraption. It’s just a glorified motorbike! I’m sure that they had a wonderful trip to Monaco and back and we’re looking forward to doing (almost) exactly the same! See what the other Sepians made of this week’s old photo prompt.